How do I start my Dupuytrens Contracture treatment naturally? Each of our therapy plans contain products that have been used with success to treat Dupuytren contracture. Learn more about the condition and how we help to treat it. Our Large plan contain all of the products that have been used with success to treat Dupuytren contracture. This website is about natural Dupuytren’s contracture treatment. Dupuytren’s Contracture Institute (DCI) uses a wide variety of the best and most reputable Alternative Medicine therapy options to assist the body to reduce and even eliminate the fibrous thickening of the Dupuytren’s lump on the palm of your hand. Since 2004, DCI has worked with 1000s of cases of Dupuytren’s contracture using natural self-treatments. Each DCI treatment plan comes with complete detailed information to get the best results possible. No one has ever reported a serious side effect, and no one has ever reported a recurrence of Dupuytren’s contracture after successful treatment. We average 8-10 reports of moderate to marked success with Dupuytren’s contracture for every one report of failure we receive – when self-treatment is done as we suggest. If you want to try natural treatment to reduce and even eliminate your Dupuytren’s contracture naturally, you have come to the right place. What is this natural Dupuytren’s contracture treatment? Dupuytren’s Contracture Institute natural treatment is a unique strategy using a large variety of both internal and external natural therapies at the same time to systematically “gang up” on the fibrous palm lump. 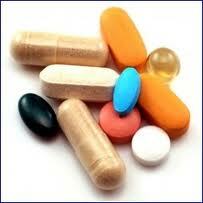 This highly diversified approach combines nutrients (vitamin E, PABA, l-arginine etc.) that are important for soft tissue healing, especially Dupuytren’s contracture, fibrin-digesting enzymes, plus several topical therapies (stretching, ultrasound, DMSO, etc.) – no one else does it like DCI. We have found it is a good strategy to throw everything you can against the fibrous Dupuytren’s contracture tissue to overwhelm it. 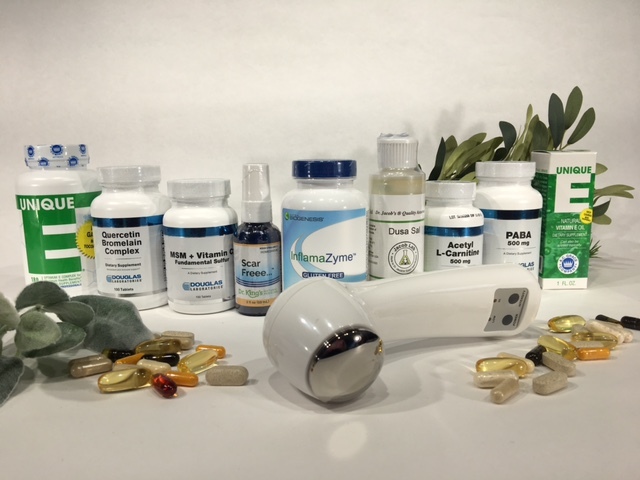 Healing needs many different kinds of vitamins, minerals and enzymes, and is benefitted by the DCI topical therapies as well. Aggressively supplying a well-designed treatment plan of internal and external therapies is what makes the DCI concept so different. DCI shows you how to emphasize those nutrients, enzymes and therapies that are good for soft tissue problems, especially DC, to support the ability of the body to reduce the Dupuytren’s contracture. By focusing on the nutrition of your soft tissue DCI believes you stand your best chance to eliminate your palm lump. Make sense? Every DCI plan comes with 12-14 pages of detailed explanations how to use our special Dupuytren’s contracture treatment. You are given all the information you need based on the treatment plan you decide to use, allowing you to put your treatment plan into action on the first day. No one complains they do not understand how to use their natural Dupuytren’s contracture treatment plan after reading these instructions. How to stay organized, motivated and in control of your treatment plan. How to safely and effectively increase the intensity of treatment to assure that your digestive tract adapts to the higher intake of these nutrients without problem. DCI encourages you to share this information with your local physician if you want so he/she will know what you are doing, and can participate with you – although it is not required. How to evaluate your hand for evidence of progress. You will be able to determine and document the size, shape, density and degree of adhesion of the Dupuytren’s contracture fibrous tissue to the deeper hand tissue. This information is used in a critical part of the DCI treatment process as a baseline for comparison to identify the exact time your progress begins, as well as guide your treatment dosages from beginning to end. You will know exactly how much progress you are making, with clear direction how to manage your natural therapy dosages. A worksheet that explains how to create and use a treatment schedule, and keep notes about the physical condition of your palm lump at each stage of treatment. There is no guessing with the DCI method. What results can I expect from my Dupuytren's treatment? Dupuytren’s Contracture Institute gets 8-10 reports about moderate to great improvement (up to and including complete elimination) of the DC lumps and cords for every one report of failure; considerably more success than failure. Every week people report they move their fingers better, flatten their palm farther, have less hand pain and enjoy greater ease doing the important activities they lost (washing, dressing, working, etc.). Of course, these improvements of finger and hand movement are accompanied by reduction of the size, shape, density and degree of adhesion of their palm lump and finger cord. If the idea of the body being able to reduce the DC fibrous tissue makes sense to you, then give it your best effort for a few months and see what happens for you. Those people who follow our instructions accurately usually report at least small improvement of their Dupuytren’s contracture, and oftentimes more than that, if they faithfully and aggressively use their program for several months. Those people who do best with their Dupuytren’s contracture self-treatment use the larger plans, and tend to be more aggressive and exact in following suggestions; those who do more get better results, just like most things in life. Poorest results occur in those people who use only a small part of the standard DCI plans or do not follow the instructions they are given. Those who have had prior Dupuytren’s contracture hand surgery can see some improvement with natural treatment, but the results are not as good as if they did not have hand surgery due to increased scar formation and tissue loss. What do I have to do to get started with my natural Dupuytren's treatment? Spend a little time to learn about natural self-treatment of Dupuytren’s contracture by reading through the DCI website. We strongly suggest you share this natural Dupuytren’s contracture treatment information with your local treating physician for approval if you think it is necessary. Faithfully and aggressively follow the treatment suggestions provided by DCI with the plan you order. Determine the exact size, shape, density and degree of adhesion of your lumps and cords, using the detailed notes you will be given with your order. This information is essential to correctly follow the DCI method of self-treatment of Dupuytren’s contracture; these details are critical to your success because it guides your treatment plan and all dosages. No side effects or adverse reactions have ever been reported since 2004 when using the DCI method of natural treatment as instructed. Carefully follow your plan for at least 3-4 months to see how you will respond. This allows enough time and opportunity to get your dosage levels up to therapeutic levels, and for your tissue to respond to therapy. If you can’t self-treat your Dupuytren’s contracture as we suggest, then perhaps it might be better to wait until you can. Remember these are not drugs. These are natural therapeutic items that assist are taken to assist a natural process. They are not making your body do anything; they are assisting your body to work to the best of its ability. Be patient with yourself and the healing process. It takes time. How long have you used your system to treat Dupuytren’s contracture? How many people have you helped? Dupuytren’s Contracture Institute started in 2004. In 2002 we first applied these same self-treatment ideas to Peyronie’s disease (a similar fibrous tissue problem that affects the male reproductive organ). Men began to spontaneously report in addition to their PD improving that their Dupuytren’s contracture was also getting better; sometimes their Dupuytren’s contracture was helped sooner and to a greater degree than their PD. Because of this we branched off into a separate DCVI website so we could educate specifically and directly about self-treatment for Dupuytren’s contracture. No side effects or adverse reactions have ever been reported since 2004 when using the DCI method of natural treatment as instructed. DCI has worked with an estimated 10,000-12,000 people, based on basic enrollment records. Between 70- 80 percent of people we work with have had Dupuytren’s contracture for 2-5 years; a small percent of cases for 10-12 years; another small percent of cases for a year or less. Perhaps 10-20 percent of people who use the natural Dupuytren’s Contracture Institute method have had one or more hand surgeries before starting their conservative self-treatment. The majority of people DCI works with have well established cases of Dupuytren’s contracture, but we also work with many early cases of DC to minimize their progression. In regard to these people helped by DCI, we get on average of 8-10 reports of moderate to marked improvement of Dupuytren’s contracture (up to complete elimination) for every one report of failure; a very good success rate. How long does it take to start seeing results from this natural Dupuytren's treatment? The Dupuytren’s contracture healing process begins at different rates and times because of the large number of variables involved. Reduction of the Dupuytren’s contracture fibrous tissue can begin rather quickly (a few weeks) at one extreme, or much longer (several months) at the other extreme – or not at all in 10% of cases. Most people (70-80%) who respond will notice a variable amount of improvement after 1-3 months of aggressively and correctly applied natural treatment of Dupuytren’s contracture that is in the therapeutic dosage range as described by DCI. The early changes are reduction of the size, shape or density of the fibrous tissue or reduced adhesion of the palm lump to the deeper palm tissue, or increased ability to flatten the palm against a table. Reduction of the hand lump is more likely if there are no reductions or modifications of the DCI treatment approach; closely following our outline of treatment provides better results. A few people (5-10%) begin to notice small improvement such as reduction of the physical appearance of their Dupuytren’s contracture fibrous tissue, or greater hand flexibility, rather early – even a month or so after starting their plans. What makes these cases of early reduction and softening of the Dupuytren’s contracture so unusual is that it occurs even before they reach the standard therapeutic dosage levels, as explained in the information given with the initial order. Those people who report early improvement usually follow a large plan very aggressively. Once the fibrous tissue begins to soften and shrink it can take up to an additional 6-12 months to reach the final level or conclusion of improvement; after the reduction process starts it can take 6-12 months longer to reach maximum recovery. This final level of improvement, or point of maximum healing, is also variable. For some people the maximum level of healing can be partial or small improvement, based on age, work history, past and current health history, number of hand surgeries, and most especially the degree to which they follow the DCI instructions for alternative medicine treatment. For other people the maximum level of healing is complete or almost complete elimination of the Dupuytren’s contracture fibrous lump and related cord. There is no way to predict when improvement will start, length of treatment needed, or the degree of improvement at the final outcome. No guarantee can be made that anyone will respond; there are too many variables. It is usually best to work as faithfully and aggressively as possible to assure your tissue is supplied with everything it needs to heal as deeply and completely as possible. Do not make the mistake of assuming you Dupuytren’s contracture problem has gone on too long or is too advanced to be helped. And do not make the mistake of being over-confident that your recovery will be easy because your Dupuytren’s contracture started recently or is not large. Old severe cases of DC sometimes respond surprisingly well, and recent mild cases sometimes do not respond well. Some people do not respond at all, but they are in the minority. Whatever the final outcome you will have the satisfaction of knowing you worked to get rid of your Dupuytren’s contracture to the best of your ability. My Dupuytren’s contracture returned and got worse after hand surgery; can I still try your natural treatment method? Yes, you can still use the Dupuytren’s Contracture Institute method of self-treatment after hand surgery. However, self-healing is made more complicated and slowed by Dupuytren’s surgery: additional scarring and thicker Dupuytren’s contracture layers, secondary tissue loss, reduced blood flow that can result after hand surgery. For these reasons, your results will probably not be as good as if you did not have hand surgery. But for those who are desperate for relief after a bad hand surgery, even a small amount of tissue change and relief is welcome. There is no reason to not try to help yourself with conservative natural self-treatment after failed hand surgery. After hand surgery aggravation of Dupuytren’s contracture can be severe, so even a small amount of improvement can be important and greatly appreciated. Many times DCI treatment can help the body make those small tissues changes deep in the tissue that result in such a big difference in post-surgical complaints and side-effects. Before getting started it would be good to review our Dupuytren treatment philosophy of care. Select one of the plans below. Each one is a well-balanced way to start your Dupuytren self- treatment. Which one should you use? Like a lot of things in life, the more you do the more you get. Applying this logic to Dupuytren treatment, the larger the plan you select the more likely you will see a favorable response. You can modify any of the following Dupuytren treatment plans can be changed by adding to or subtracting from it based what you have learned from this site. Regardless, each of these Dupuytren treatment plans can be a good starting point that can be custom tailored to suit your thinking. Please click here for more information about the DCI SMALL treatment plan. Please click here for more information about the DCI MEDIUM treatment plan. Please click here for more information about the DCI LARGE treatment plan. You do not have to use each and every item available from this Product List in a DC treatment plan. One therapy – any therapy – should be better than none; two even better, three even more so, etc. Perhaps the average number of therapies used in a treatment plan is about 8-9. Our experience is that those who try to do the least, get the least; those who do the most and work the hardest to help their Dupuytren’s contracture heal get the most done – just like anything in life. DCI suggests you attempt a brief therapeutic trial of Alternative Medicine care for your hand contractures before you consider Dupuytren surgery because of the inherent risks. How much do your natural Dupuytren's treatments cost? Costs for Dupuytren’s contracture self-treatment are variable. Those people who choose to use DCI treatment more conservatively will have lower costs than what is shown below, and those who choose to be even more aggressive will have higher costs than what is shown below. Large DCI treatment plan – Starting cost is $355.50. On average the cost to continue this size plan is $95-120 per month. Medium DCI treatment plan – Starting cost is $188.46. On average the cost to continue this size plan $90-105 per month. Small DCI treatment plan – Starting cost is $155.61. On average the cost to continue this size plan is $70-90 per month. Our standard suggestion: Treat your Dupuytren’s contracture as aggressively and carefully as possible. No matter how large or small, or how old or recent your Dupuytren’s contracture might be, take self-treatment seriously. Use the largest plan you can afford to undertake for at least three months to assure your best opportunity for success. Is this natural treatment program a cure for Dupuytren’s contracture? …cure the Dupuytren’s contracture naturally and spontaneously without treatment. It happens without fanfare; the palm lump just slowly fades away and is forgotten. …have difficulty curing the Dupuytren’s contracture for some reason, and so the palm lump remains in the tissue without developing a cord. This stalled or stagnant stage of DC might be considered a partial cure because after starting the body is able to limit and control the lump so it does not grow further. The Dupuytren’s lump can remain unchanged on the palm indefinitely. …not cure the Dupuytren’s contracture for some reason. As the palm lump continues to enlarge a cord develops in a year or two, causing the finger contracture that can be a significant problem. Elimination or variable reduction – Over half of Dupuytren’s contracture cases will either have a spontaneous cure or will notice the palm lump will become soften and/or smaller for a while, once or twice, during the early stages. This reduction of the palm lump can be or complete and permanent, or partial and temporary. When these changes occur spontaneously it is due to the natural ability of the body to heal and repair – the body either succeeds in getting rid of the DC, or has trouble and stalls – but it is all an expression of an effort to heal and remove the Dupuytren’s contracture. Medically funded websites do not discuss the ability of the body to spontaneously cure, or partially cure DC (condition of being stalled or inactive for years). Perhaps they do not discuss how the body cures and controls Dupuytren’s contracture because of their preference for drugs and surgery as opposed to natural healing. Patient funded websites mention spontaneous cures for Dupuytren’s contracture freely, but do not have an explanation for why it happens. Dupuytren’s contracture research into palm lump variability – A 2018 DCI research project shows that 50-60% of people with Dupuytren’s contracture report that their hand lump was variable – it was not stable – in the early stages; the fibrous palm lump got better for a while and then worse again, sometimes several times back and forth. In some cases the Dupuytren’s contracture palm lump is reported to go completely away, only to return again months later, or in other cases never return. Our interpretation is that early palm lump variability clearly demonstrates the success of the body to at least temporarily reduce (cure) Dupuytren’s contracture. This interpretation is confirmed in those cases when the DC does not return, meaning a successful self-cure of Dupuytren’s contracture takes place. More study and research should be done to evaluate the circumstances and conditions when the body system weakens or fails its effort against the palm lump and it returns. Slow progression – Most people with Dupuytren’s contracture will say it develops slowly (2-10 years or more); unhurried development is a hallmark of DC. Commonly a case of Dupuytren’s contracture will start as a small palm lump and stay that way for a few years, even a decade or more, until something happens to make it develop a little and perhaps stay that way again for many years. It is a rare case that develops to full finger contracture rapidly (in a few months). Our interpretation of this slow development of Dupuytren’s contracture is that it is more evidence of the body limiting and controlling the cellular activity and behavior of the foreign DC tissue. Even if it is limited or weak control when the palm nodule develops slowly, it is still significant because it demonstrates that the body is not completely helpless against Dupuytren’s contracture. All of this should be good news to anyone who is looking for an option to Dupuytren’s contracture surgery. It suggests a direction of self-treatment based on the fact that in a significant percent of cases the body can and does cure Dupuytren’s contracture, sometimes temporarily and sometimes completely. Are Xiaflex injections for Dupuytren’s contracture really a non-surgical procedure?